These Chicks Are Charming! | Faddegon's Nursery, Inc.
May 18, 2016 | Perennials, What's New? 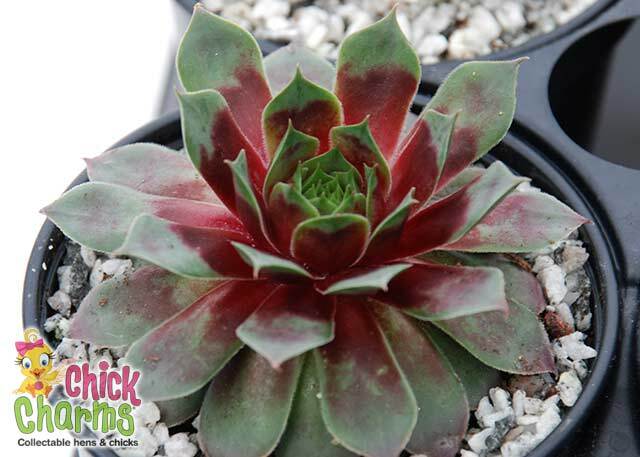 We have news about Hens & Chicks! These are very charming chicks, but they aren’t the Chick Charms we want to tell you about! Chick Charms™ brand is a collection of NEW and colorful, ultra hardy to zone 4, Hens & Chicks which have been evaluated by Chris Hansen (pictured below) in west Michigan. Chris is a co-founder of Great Garden Plants and a plant breeder. He has selected varieties for inclusion in this program. Each one qualifies because of its great vigor, great color the majority of the year, having heavy chick production and are resistant to root rot. Chris is well-known for his detailed note taking on numerous sempervivum throughout the year and these varieties are real stand-outs out of 4,000 named varieties. They’re here and they look great!